The DJI Inspire 2 takes everything you thought you knew about drones and enhances it. Prepare to be seriously impressed. 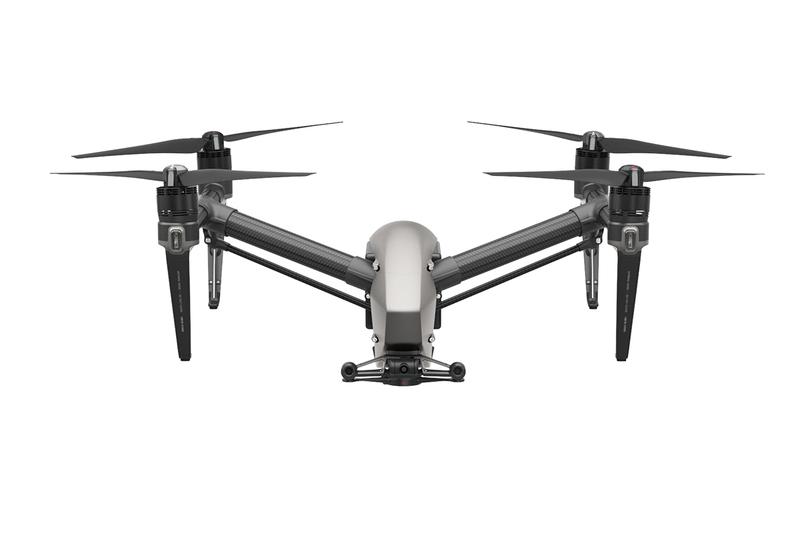 For superb images every time with the strength to last the distance, this professional DJI Inspire 2 is full of great improvements. This fabulous machine is capturing the best work of professional filmmakers all around the world. Buy DJI Inspire 2 online and get free shipping Australia wide. For those who loved the DJI Inspire, you will be so impressed by the upgrades in the DJI Inspire 2. Giving you even more professional images and upgraded features, you are set to be fascinated by everything it can do. It is a truly professional tool. The main differences include an upgraded CineCore2.1 processor. The Zenmuse X7 camera can perform up to an awesome 6K in CinemaDNG/RAW and 5.2K in Apple ProRes. This impressively gives you fabulous quality. Accelerating faster than the average car, it can reach 50mph in only 5 seconds with a maximum speed of 58mph. The impressive agility of this aircraft is virtually unheard of, especially give its size. Its descent speed is 9 metres per second for amazing manoeuvrability. You might expect this power to drain the battery quickly. With an X4S however, this time is extended to 27 minutes and it can self-heat to tackle low temperatures effectively. One of the most important new drone features, FlightAutonomy, has been developed specially for the DJI Inspire 2. Now the avoidance level for obstacles is two directional with sensor redundancy. For improved video transmission, the upgraded system has both dual channel and dual signal frequency. 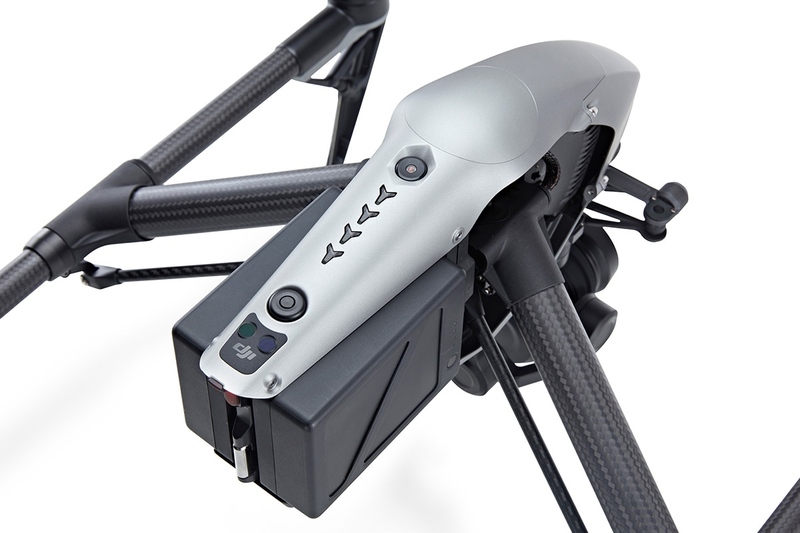 Both the FPV camera and central camera can stream video at the same time for superb coordination between the piloting and camera operation. This all stems from augmented intelligence which offers you additional flight modes. Try Spotlight Pro for shots with high drama and complex detail, even when there is single piloting. The DJI Inspire 2 detects potential obstacles with both forward pointing and undercarriage sight systems. Doing this at up to 30 meters distance ensure flights of up to 34mph bring fabulous protection at a controllable attitude angle of 25°. No need to worry about what is above either. With infrared sensors scoping upwards to 5m, flying indoors or in partially enclosed areas is now safer. These systems set to detect potential obstacles are used during the standard flight modes, Intelligent Flight Modes and RTH. The DJI Flight Autonomy System brings these sensors as a core part of the intelligence features like Upward obstacle avoidance, Obstacle avoidance, Accurate indoor hovering and positioning, Automatic obstacle avoidance during RTH, Terrain detection and Accurate indoor hovering and positioning. With impressive tracking, the Spotlight Pro mode gives lone pilots the ability to shoot complex images solo. The scientific tracking algorithms lock onto a specific subject to follow. It can then complete most of the work a dedicated camera operator would, to capture a multitude of superb shots no matter the direction. 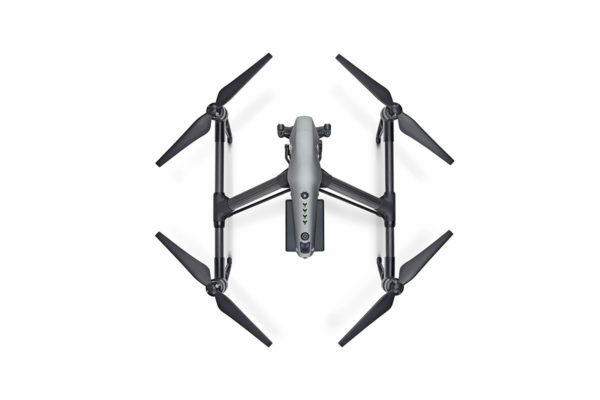 The gimbal does have limits on angular rotation, but the DJI Inspire 2 will rotate to compensate and allow further manoeuvrability. All of this without issues occurring. Shooting varies as you require. In Quick Mode, you simply select an object to track and away it goes. In Composition Mode you select both the tracking position and subject. Once they align, you press the shortcut to commence with tracking. Then adjust the composition as you shoot by moving the gimbal if required. Spotlight Pro is ready to use in Intelligent Flight Modes of TapFly, Waypoint, and Point of Interest. You can choose more than just Spotlight Pro if you have more technical needs. If the avoidance of obstacles for a particular shot is your top priority, then use the Waypoint or Point of Interest mode. This makes even challenging shots easy and allows you to aim again and again. Whilst QuickSpin, TapFly and ActiveTrack modes all make capturing that perfect shot easier. 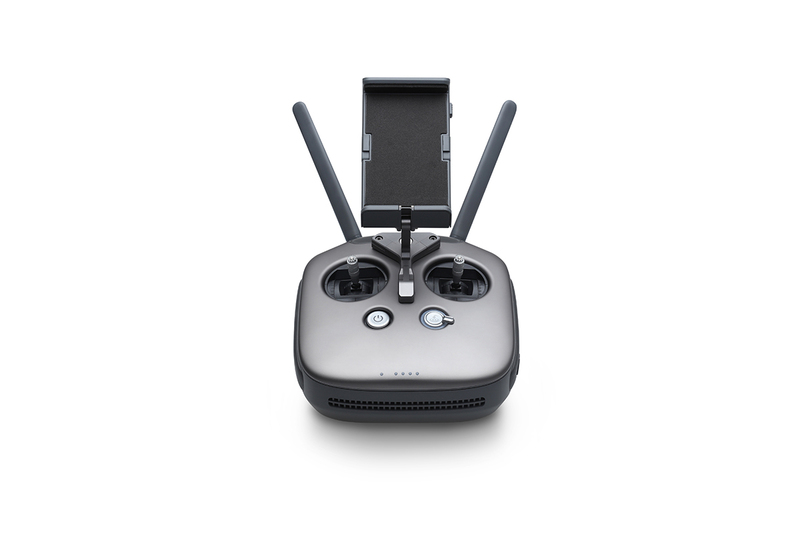 The FPV camera with 2-axis offers the DJI Inspire 2 a dedicated TapFly camera if required. This is thanks to the separation of flight view with the main camera view. The pilot mode can focus the main camera on gimbal movement while you can tap onscreen to position the FPV camera to track a route of your choice. If you are looking for the ultimate in tracking precision, then set your sights high. Set a tracking profile with the ActiveTrack Mode. Your DJI Inspire 2 will detect and recognise a wide range of objects, which you can then track. Imagine a scenario where your drone is lost. Perhaps it has lost the transmission signal. The DJI Inspire 2 will know just what to do. While moving along a route, it has created a map of that route in real-time. It uses this map to take the original route to return back to you. If it regains the signal, it will then pick up the most direct path. The central camera still identifies obstacles, some of which may not have been there on the initial flight. No damage, no worry- it is safely back in your hands. The cutting edge in video recording is at your fingertips. 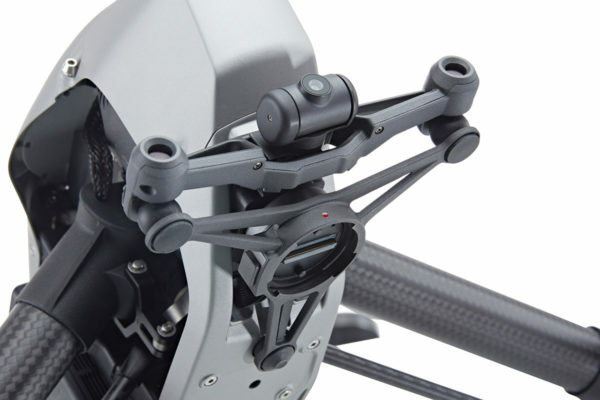 The transmission distance of the DJI Lightbridge technology is over 7 km* with 1080p/720p video. Of course, there is the additional FPV view for operation and piloting. Choose between 2.4GHz and 5.8GHz**control frequencies or switch as needed for improved signal stability and the premier recording experience. Problems all too common with your master and slave controllers? With wireless HD technology for image transmission, information is shared rapidly. This avoids issues with distorted images, even when they are up to 100 metres apart. Use the DJI Inspire 2’s dedicated 1080i50 and 720p60 transmission signals to give a direct broadcast. Connect the satellite truck with the remote controller and you can have aerial live-stream TV with ease. Take up the power of the DJI Inspire 2 for fast and clean performance. It has flying speeds of up to 58mph and is so impressive. Add to this ascent at 6 m/s and a rapid descent of 9m/s then you begin to see what it can actually achieve. Acceleration is 50mph in a mere 5 seconds coupled with a max attitude angle of 40°. Highly sensitive controller sticks ensure that scale of movement is easy. The increased power allows the optional dedicated propellers to take things to extremes. This includes distances of over 2500-5000m above sea level. Also fly to temperatures as low as -4°F using the Intelligent Flight Batteries which are self-heating. Reliability is much improved with the intelligent systems for flight control. Its accurate flight data offers dual redundancy of the key modules like the IMU and barometer with smart information. The DJI Inspire 2 has the ability to sense obstacles with increased accuracy. This greatly reduces the risks of damage and object impact. The dual battery system extends flight times. It also provides an additional safety function in case one battery fails. The other can fly solo to allow safe landing. Concurrently the drone’s propulsion system drives a signal through a serial port. Therefore if PWM signals are lost, transmission continues. We really have thought of everything! Experience the perfect performance and power right in your hand when you buy the DJI Inspire 2 online with free shipping across Australia. 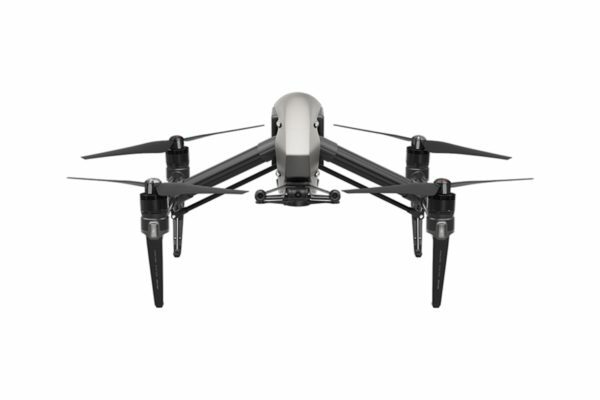 The Inspire 2 supports control over 4G. This high bandwidth allows the Inspire 2 to transmit high quality videos to a network server or can be used for ultra-long distance control. It also cuts video transmission latency to 500ms. The handheld camera mount is compatible with the Zenmuse X7, X5S and X4S, bringing these cameras down to the ground for more flexible filmmaking. 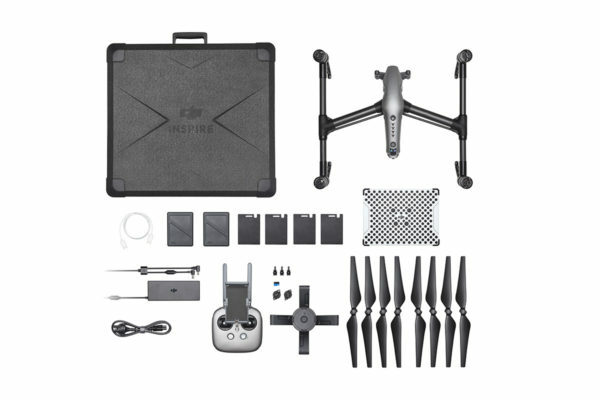 Buy DJI INSPIRE 2 to unleash the best photographer in you, and to give your work an extra edge!